Taken for granted in modern times salt remains one of the most important minerals for human survival. Our bodies demand it. Since we walked this earth humans have searched out salt and for millennia the control of a salt source and its trade provided empires with power and wealth. And why? Because before the development of refrigeration, salt was vital in preserving food, and ofcourse making food taste better. Without salt to preserve meat or fish early explorers and sailors would have had a much harder time during their travels. Throughout history local people have developed some ingenious and sometimes bizarre ways of extracting salt and this fact alone formed the basis of this book. 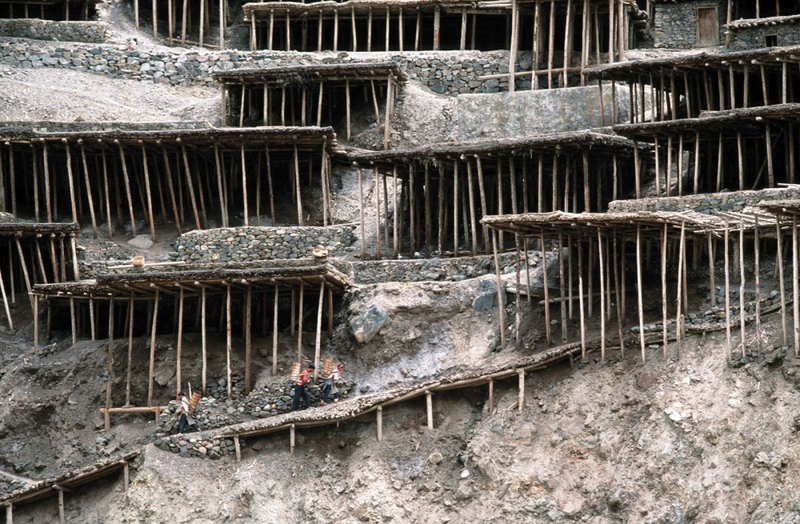 In remote regions throughout the world, on isolated islands, hidden in remote valleys or high up on mountainous plateaus, people still use the methods of old to produce this vital mineral. 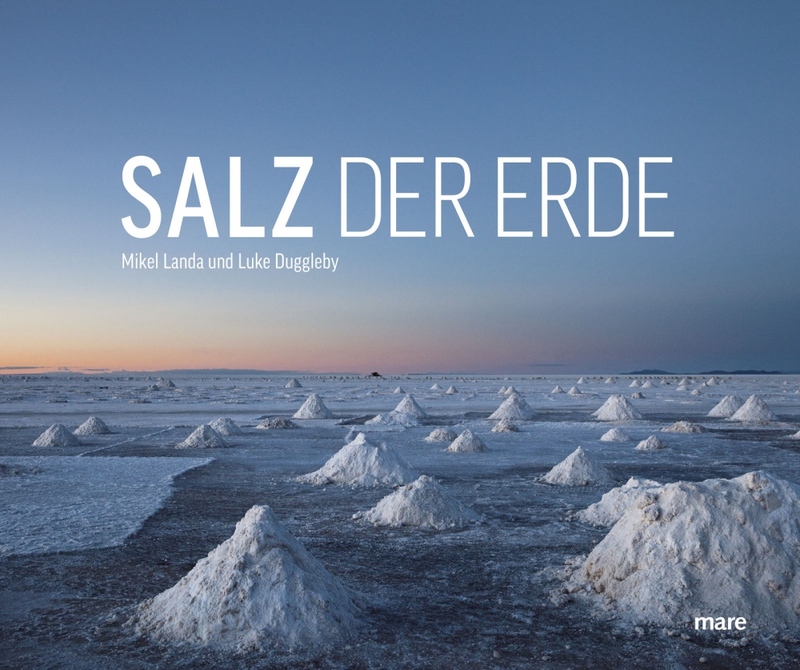 Salz der Erde is the result of 5 years of work and collaboration between architect Mikel Landa and photographer Luke Duggleby. The aim was to document and illustrate some of the worlds most unique and special traditional salt producing places. 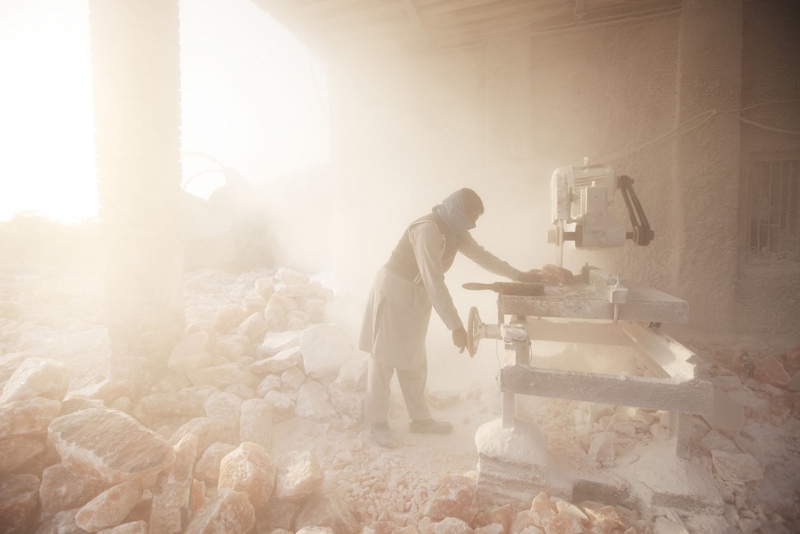 Covering 29 places in total, which were divided in two between Luke and Mikel, on four continents they aimed to show the sheer diversity of salt production and the communities that still rely on it for their livelihood. 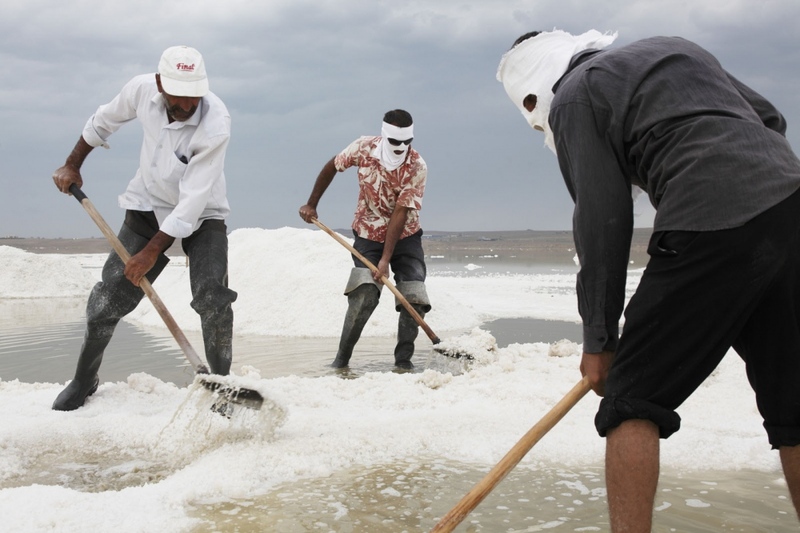 But modernization has led to many saltworks being abandoned in industrialized countries, a process that is slowly reaching every traditional saltworks even those in remote regions. 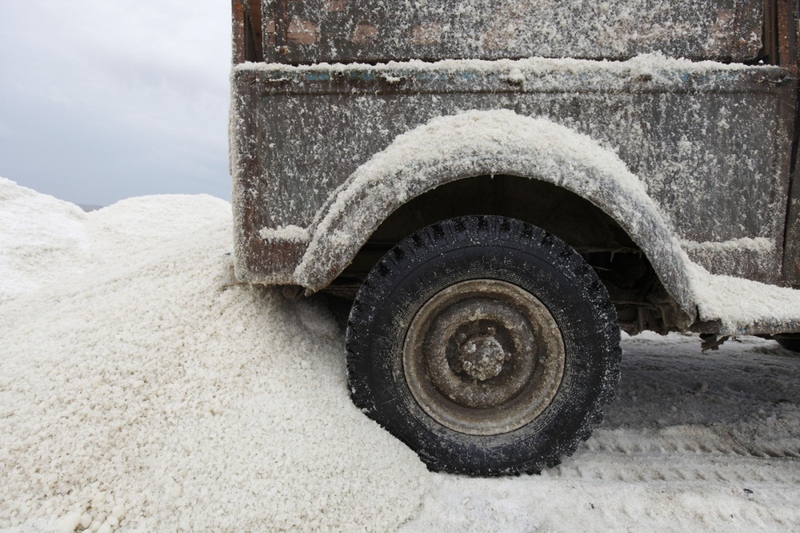 Cheap low-quality factory salt has flooded the market and as a result the demand for labour intensive traditional salt, despite its superior quality, declined. However, there is one factor that could save these disappearing traditional salt making sites and that is quality. Handmade salt is vastly superior in quality and it is this fact that has lead to the preservation and renewal of several sites across Europe and America. It is thick fact that the authors want to remind the reader so that we can help preserve those sites that still remain. This comprehensive history of salt production was published in German in a large format book by German publisher mareVerlag (www.mare.de) and is available in the German speaking countries of Germany, Austria and Switzerland. Published by mareverlag in December 2015. Available for purchase on www.mare.de. 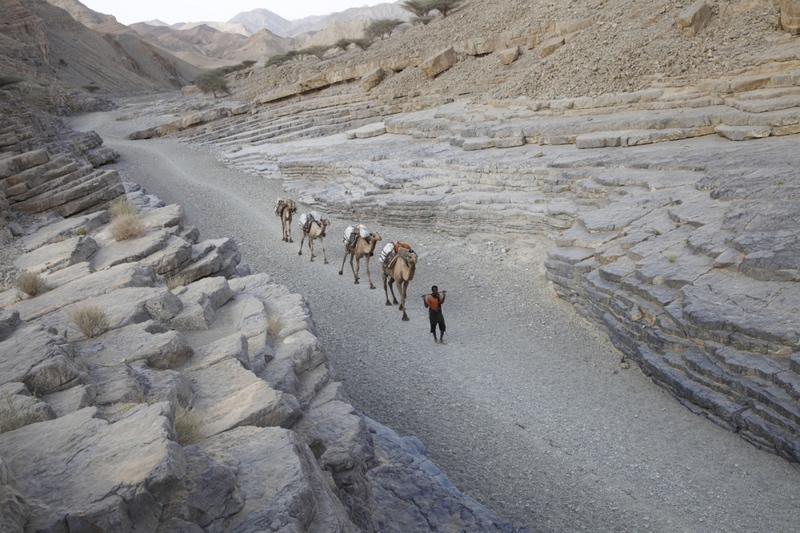 Salt traders walk their camels along the ancient salt caravan from the Danakil Depression to the town of Berhaile. Afar, Ethiopia. 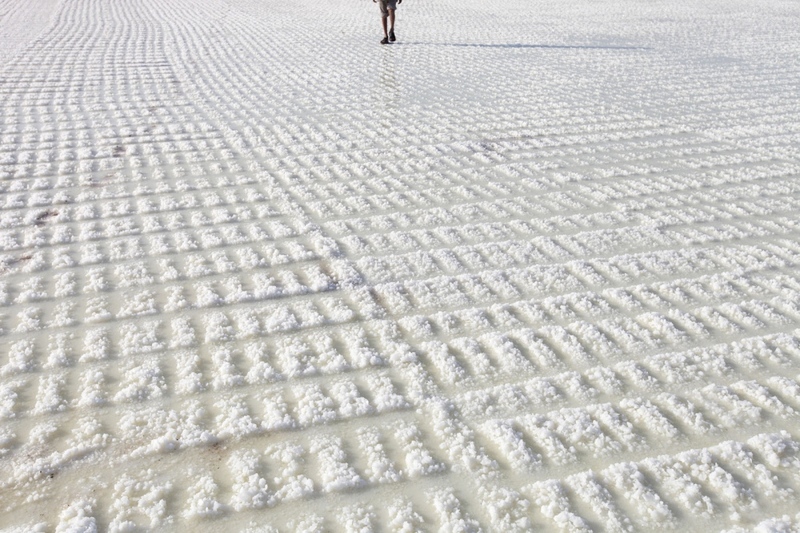 A Quechuan lady walks across the ancient salt pans on Salinas de Maras casting a long shadow. 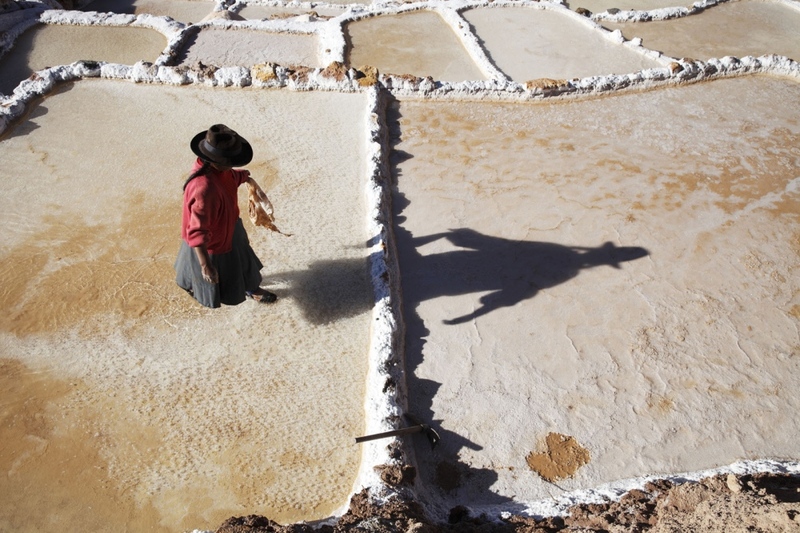 Built by the Inca's this UNESCO status site is still used to produce salt by members of the Maras community. Maras, Peru. 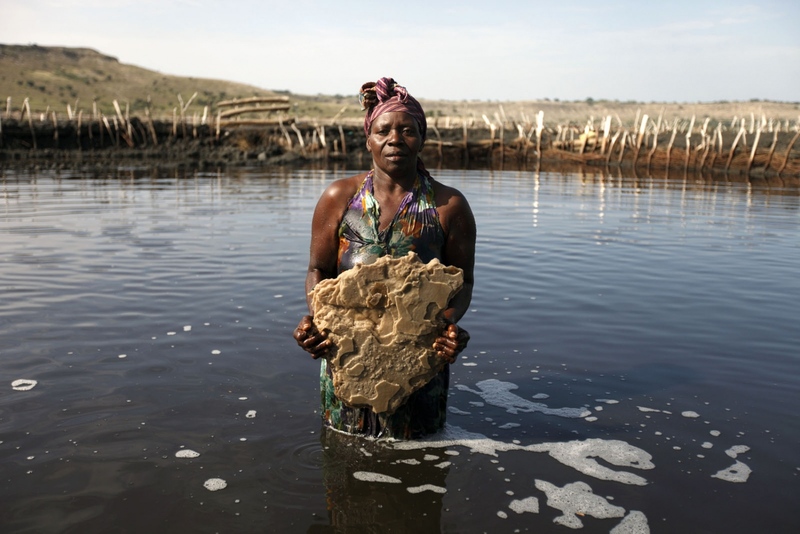 A salt worker holds a huge slab of salt she pulled out of Lake Katwe in Western Uganda. The lake sits in an extinct volcano and the salt forms at the bottom of the lake where it must be broken in to manageable sized pieces and brought to the surface. Full of pollutants and blistering heat makes working in the lake very hard. Katwe, Uganda. 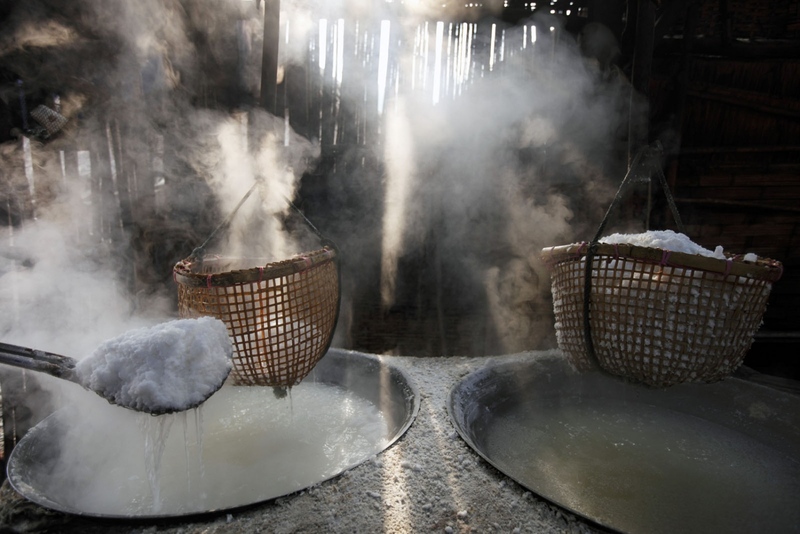 Newly produced salt is scooped out of the hot pans in to a basket hanging above. Here the salt is left to drain. This process has changed little in 800 years. Bo Klua, Nan Province, Thailand. 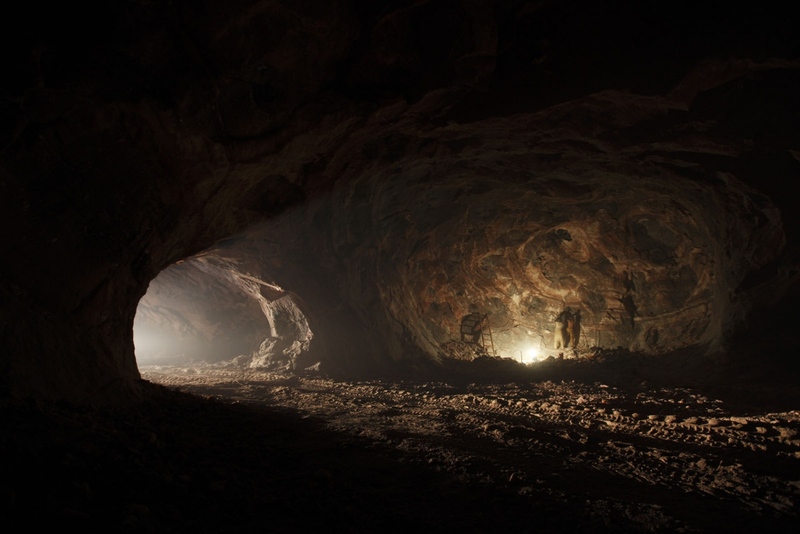 A Romanian miner stands inside the vast mine shafts of the Mihai Salt Mine in Slanic town. Everything from the floor to ceiling is made of salt. Trucks wait to be loaded at the Warcha Salt Mine with Pakistan's famous pink rock salt to be distributed around the country. Warcha, Punjab, Pakistan. Thousands of tiny salt making 'containers' made of the leaf of the sugar palm tree cover the beach in Eastern Indonesia. 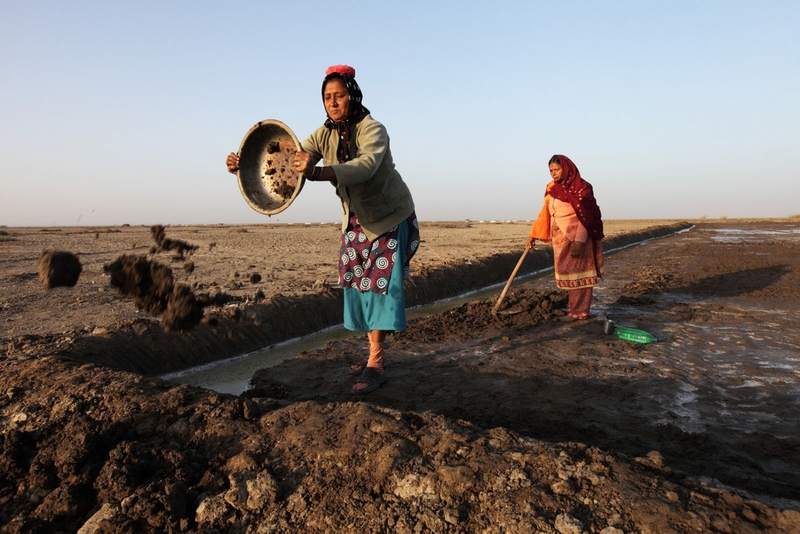 Workers wear face masks to protect themselves from the sun at Binagadi Lake, a large salt lake close to the town of Masazir in Azerbaijan. Salt workers use a saw to cut out salt bricks from the salt crust on the Salar de Uyuni, Bolivia. 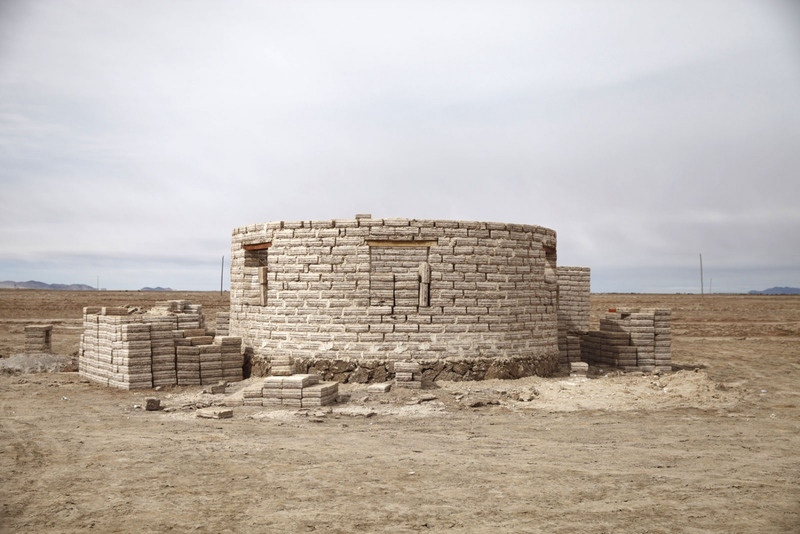 A house structure made solely of salt bricks on the edge of the Salar de Uyuni. 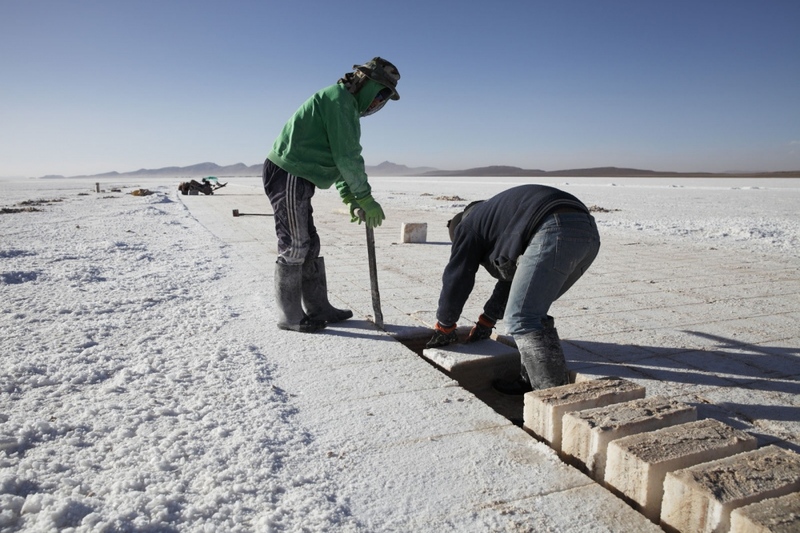 The salt bricks are cheaper and easier to repair than regular concrete bricks. Bolivia. Salt makers collect a special river reed on the banks of the Nzoia River in Eastern Kenya where they produce salt from it by drying it, burning it and filtering its ashes with water. Webuye, Kenya. 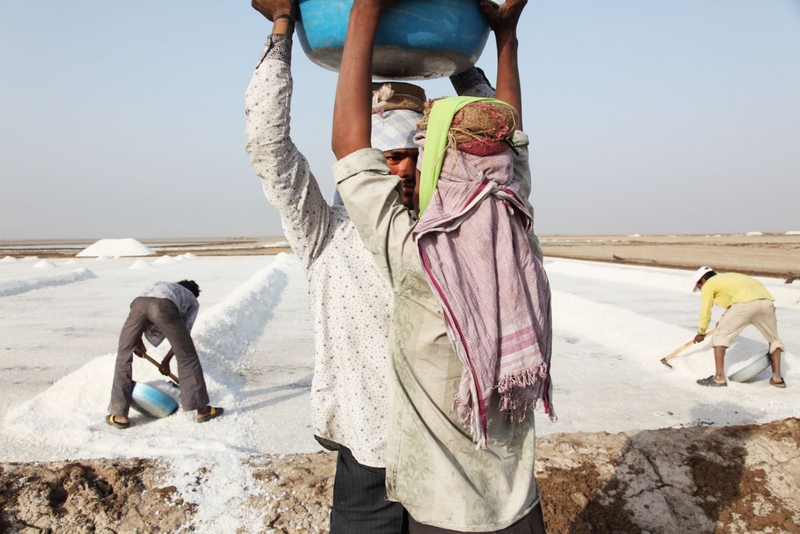 Salt workers collect freshly made salt from large pans on the Little Rann of Kutch. Gujarat, India. A salt maker sits in his salt making hut. Because they keep the fire burning 24 hours a day many of the salt makers sleep next to the fire and wake up every few hours to re-stock the fire. 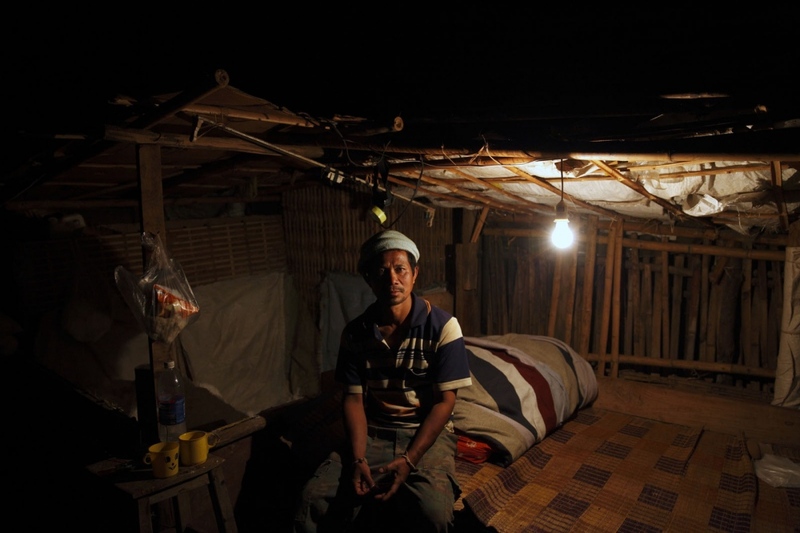 Bo Klua, Thailand. 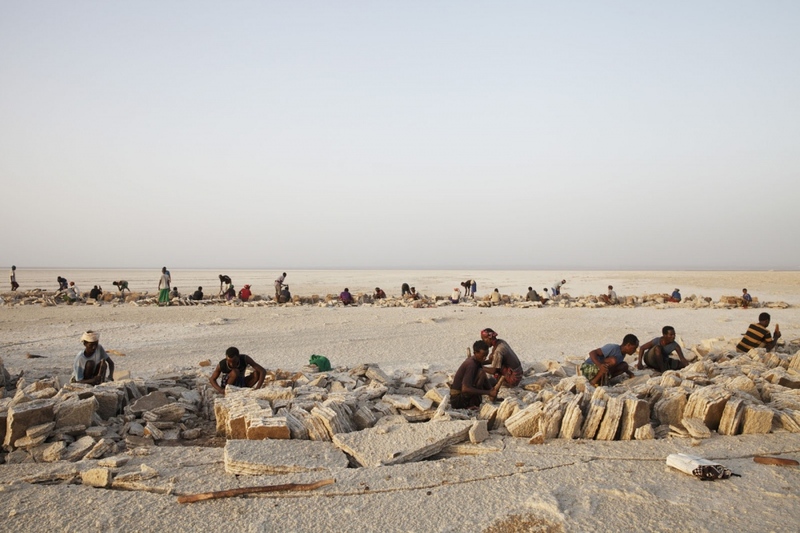 Empty camels arrive at the salt collection place in the Danakil Depression and look for their team who are busy cutting the salt in to bricks. 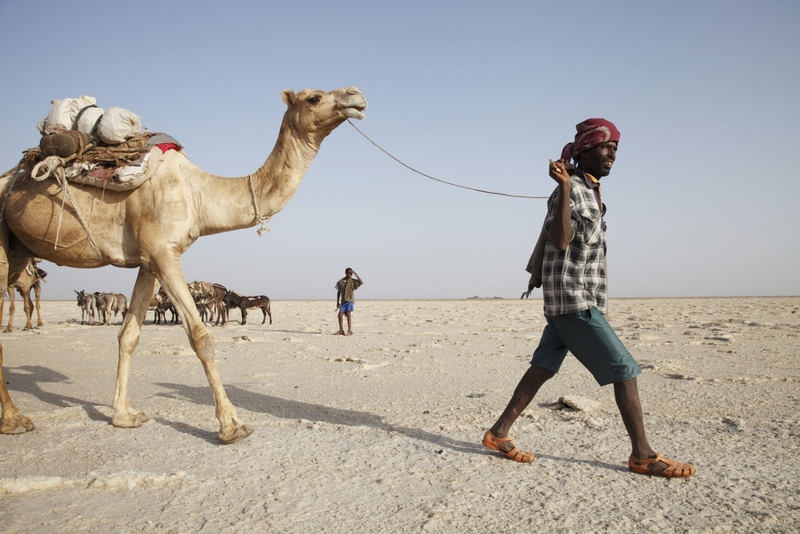 Once they meet, they will load the camels and then spend 2 days walking back to the town of Berhaile. 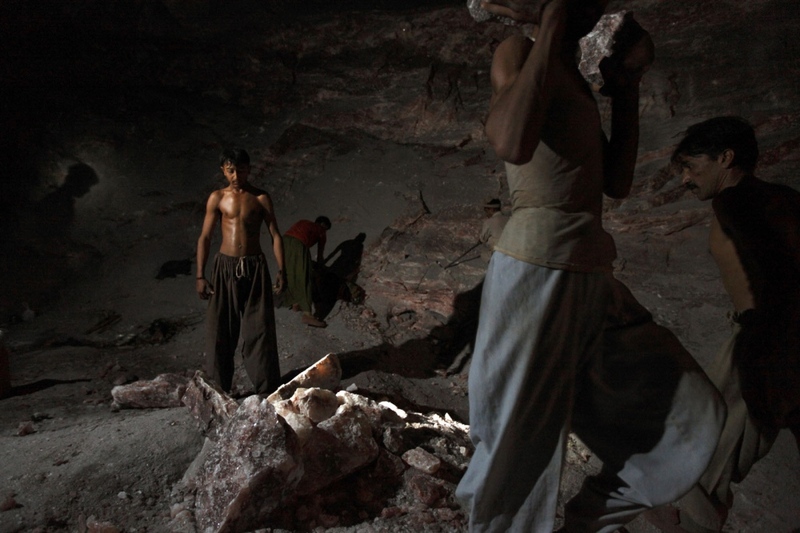 Cutting the pink rock salt at the Khewra Salt mine sends plumes of fine salt dust in to the air. Pakistan. 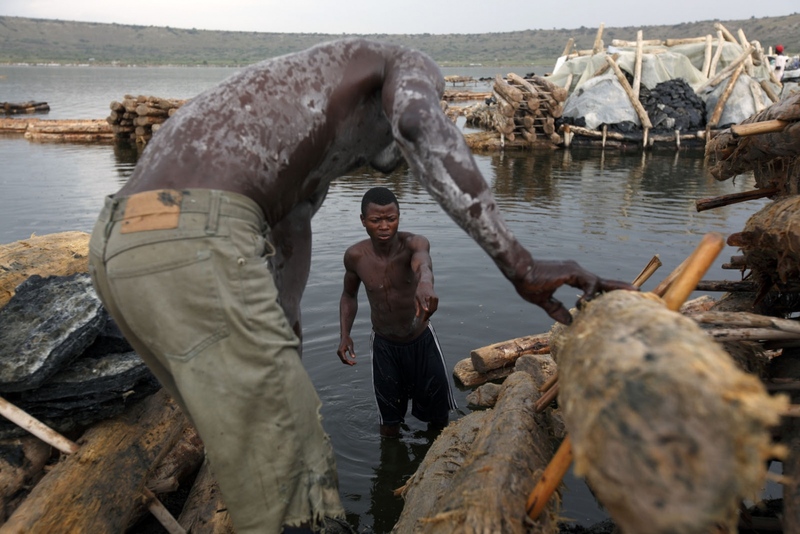 Ugandan salt workers unload the salt they have collected from the bottom of Katwe Lake at the end of the day. 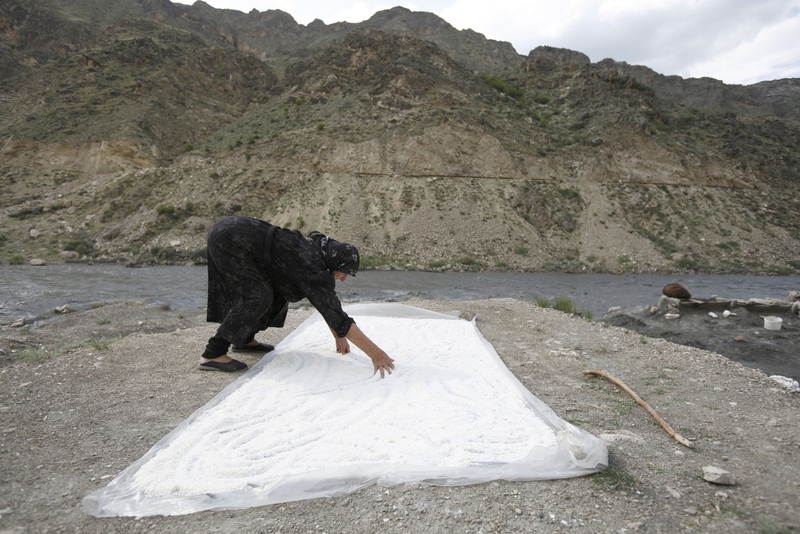 One of 4 remaining women salt makers who follow an age-old tradition in Kvankhidatli village, high up in the mountains of Dagestan, a little known Republic in Southern Russia. Women salt makers make a new slat pan by removing dirt and then flattening the surface. Gujarat, India. 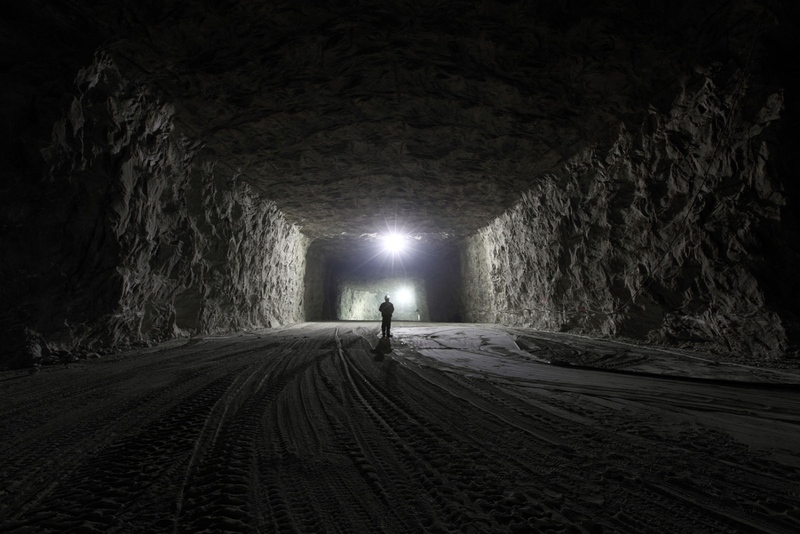 Inside the Warcha salt mine in Pakistan. 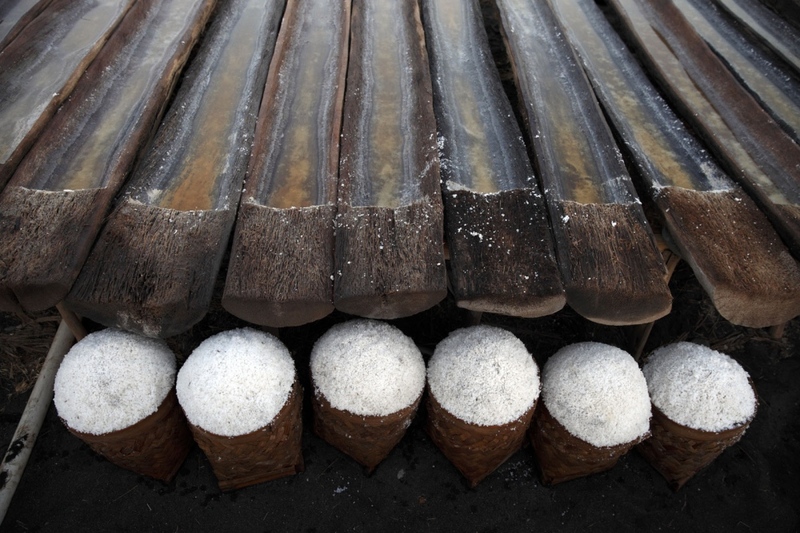 After having scraped the sea salt from the tables the salt is left to drain in wicker baskets in Amed, Northeast Bali. 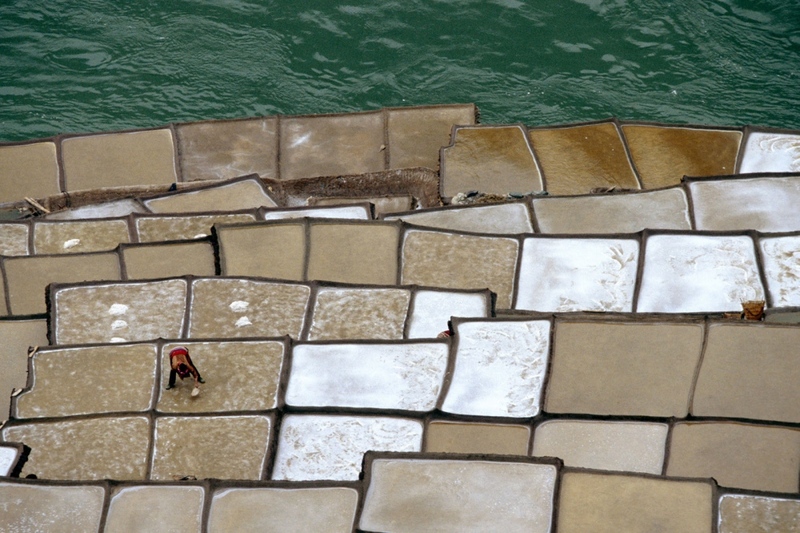 The ancient salt making terraces of Yanjing in Eastern Tibet. Located just above the River Mekong as it flows down from the Tibetan plateau these terraces have been used to make salt for many centuries. 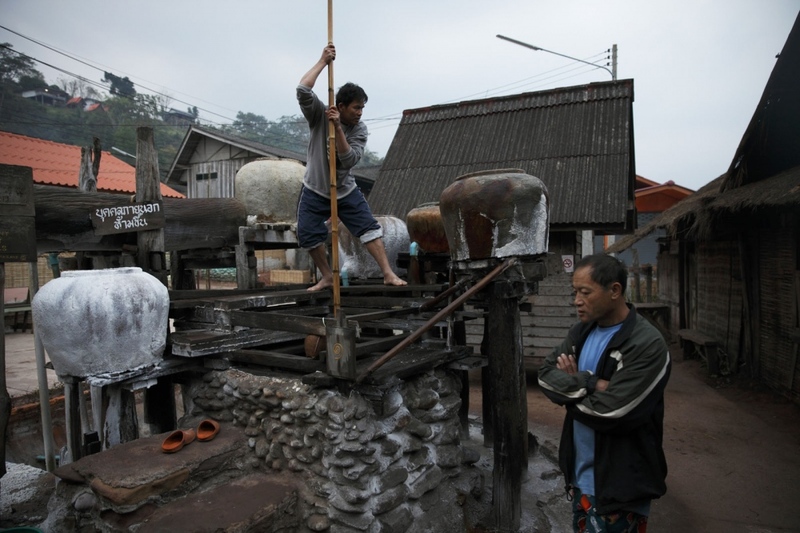 The salt water comes from an underground source below the Mekong. Yanjing, China. 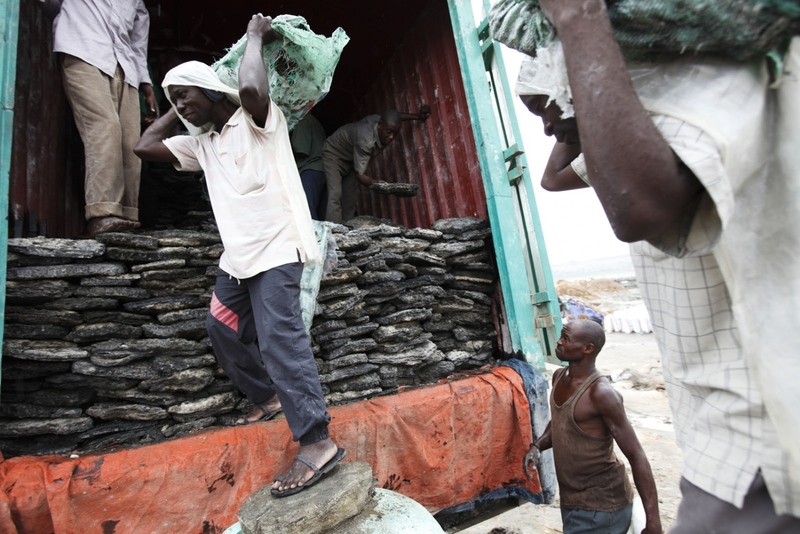 Salt workers carry the dried black salt to a truck where it will be taken to Rwanda. Lake Katwe sits in an extinct volcano and the salt forms at the bottom of the lake where it must be broken in to manageable sized pieces and brought to the surface. Full of pollutants and blistering heat makes working in the lake very hard. 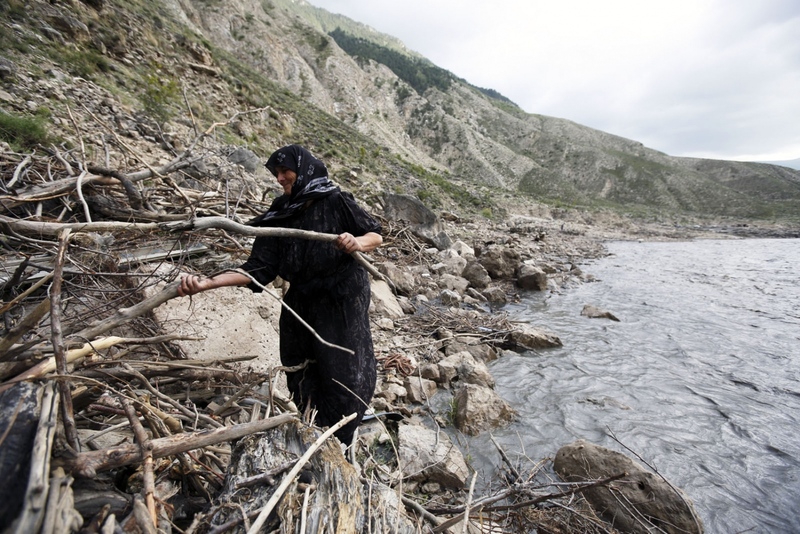 A women, member of one of the last remaining salt making family from Kvankhidatli village, walks to collect drift wood to cook the salt as logging trees is now illegal in the region and most have been cleared due to the salt activity over the years. Botlikhsky District of Dagestan, Russia. 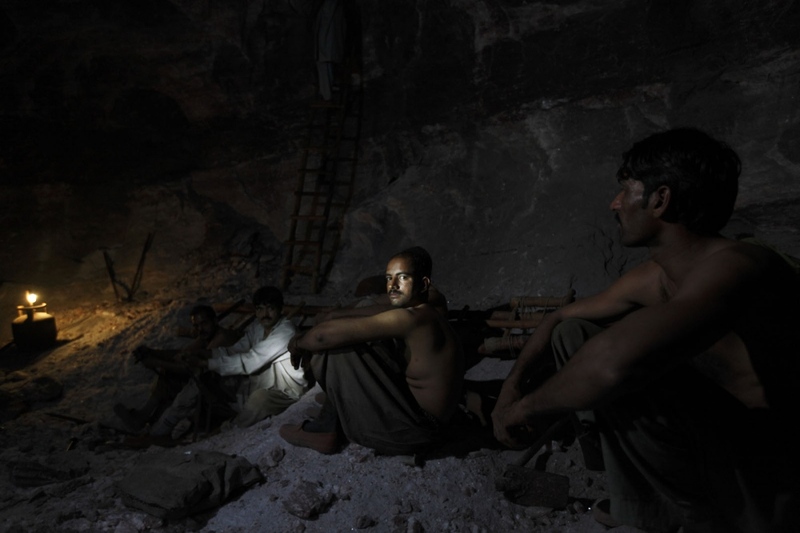 A salt miner in Pakistan’s Khewra mine takes a break in the darkness. Punjab, Pakistan. Salt workers literally cut the salt from the ground in the Danakil Depression. The depression is the lowest and hottest inhabited place on our planet and workers must work in very high temperatures with no cover. Afar, Ethiopia. 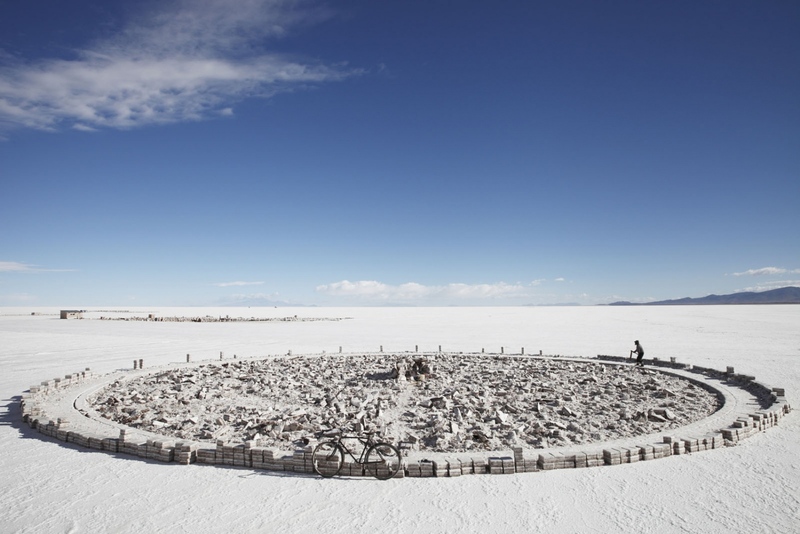 A salt maker cuts salt blocks directly from the world's largest salt deposit in a circular formation. The Salar de Uyuni in Bolivia is the world's largest salt deposit. 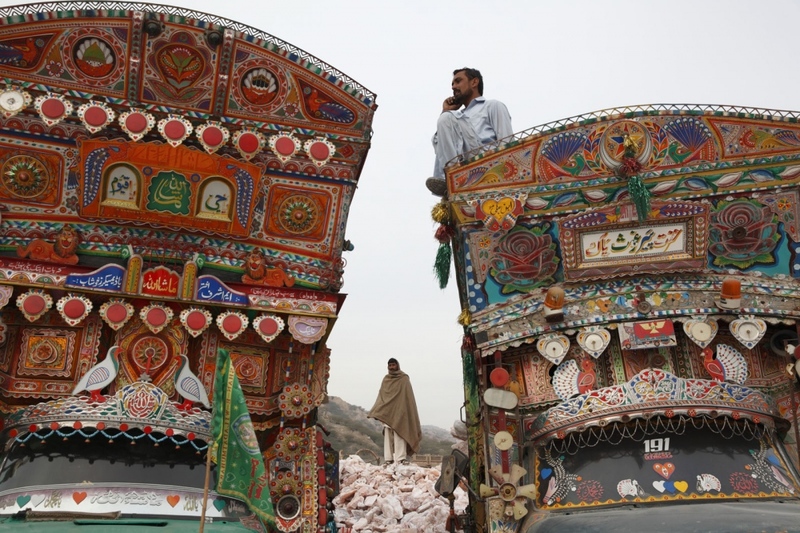 Pakistani salt workers load large pieces of pink rock salt to a waiting truck. Khewra, Punjab. 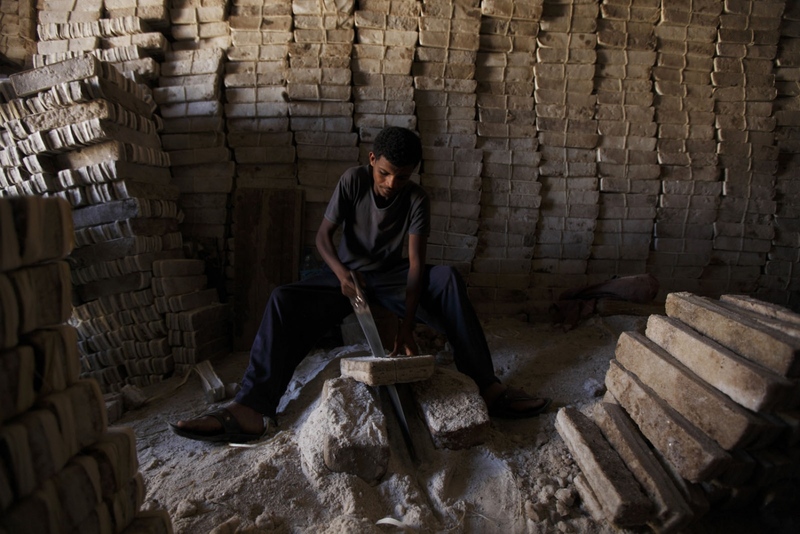 In a shop that sells salt bricks brought by camel from the Danakil Depression uses a saw to cut them in to smaller pieces. Tigray, Ethiopia. 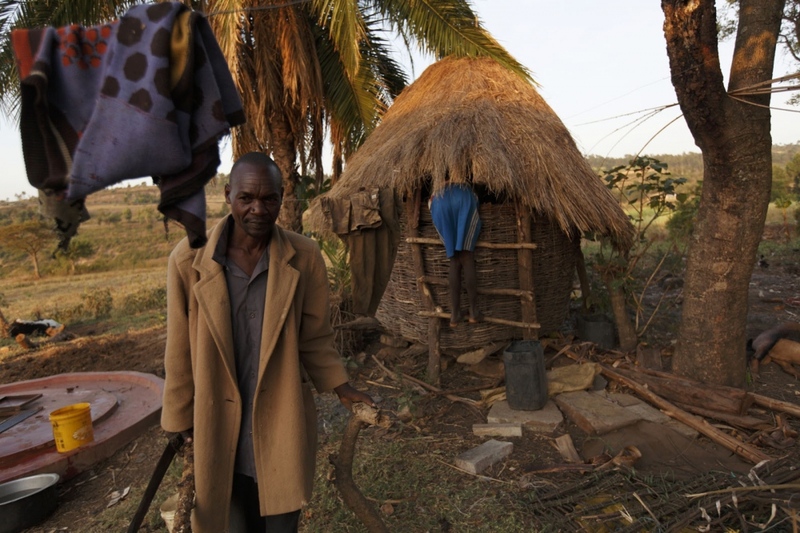 A salt maker's son climbs in to a small hut used to keep animal feed in Western Kenya. 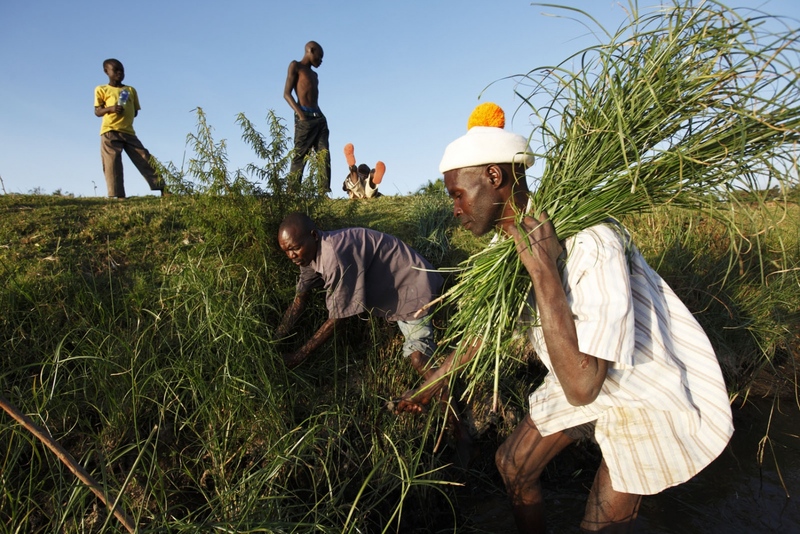 This is one of only several families that still have the knowledge of how to make salt from a special river grass. 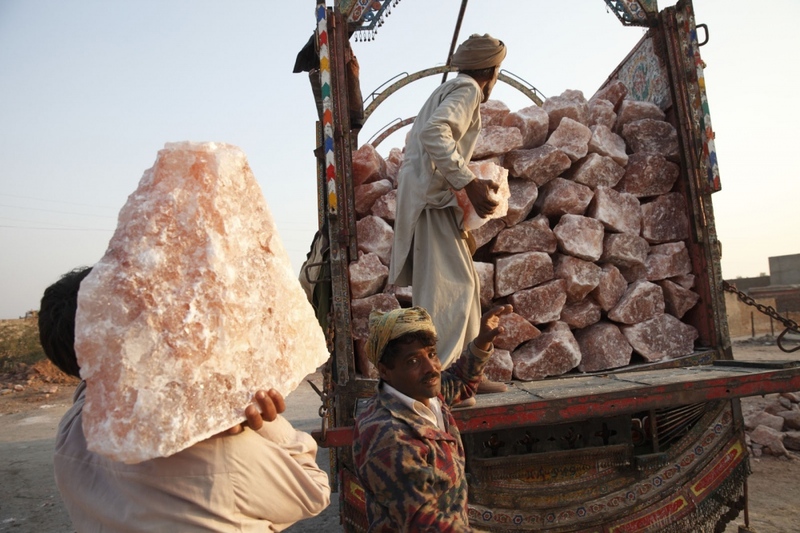 Pakistani salt workers carry large pieces of pink rock salt to a waiting truck. Khewra, Punjab. 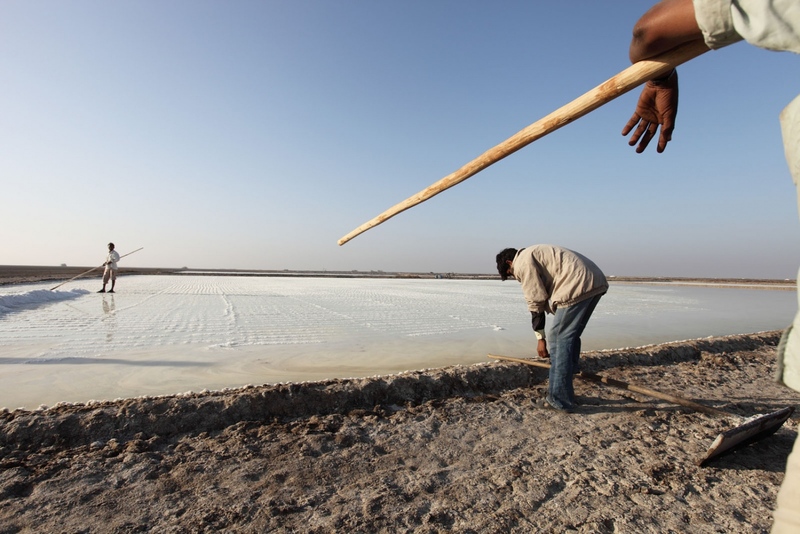 Salt workers work on a large salt pan in the Little Rann of Kutch. Gujurat, India. 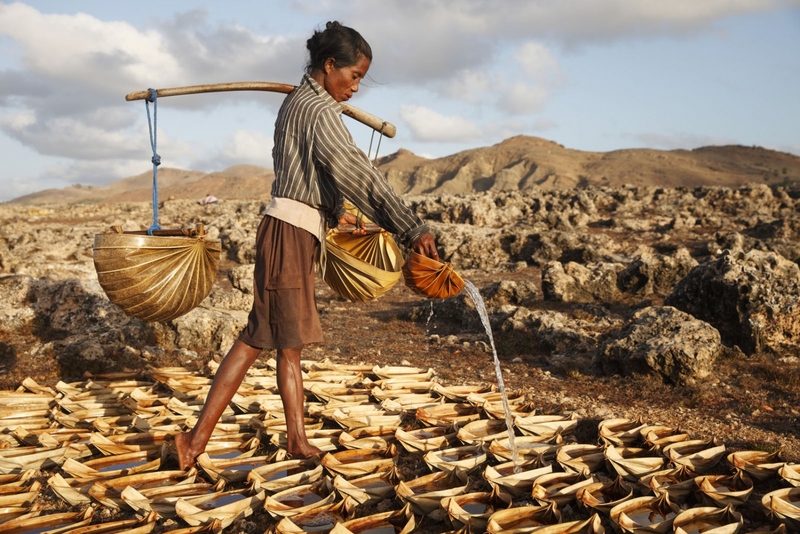 Women collect sea water that they will pour in to hundreds of tiny salt making 'containers' made of the leaf of the sugar palm tree that cover this rocky coastline in Eastern Indonesia. An old Soviet-era truck is used to transport salt from Binagadi Lake, a large salt lake close to the town of Masazir in Azerbaijan. 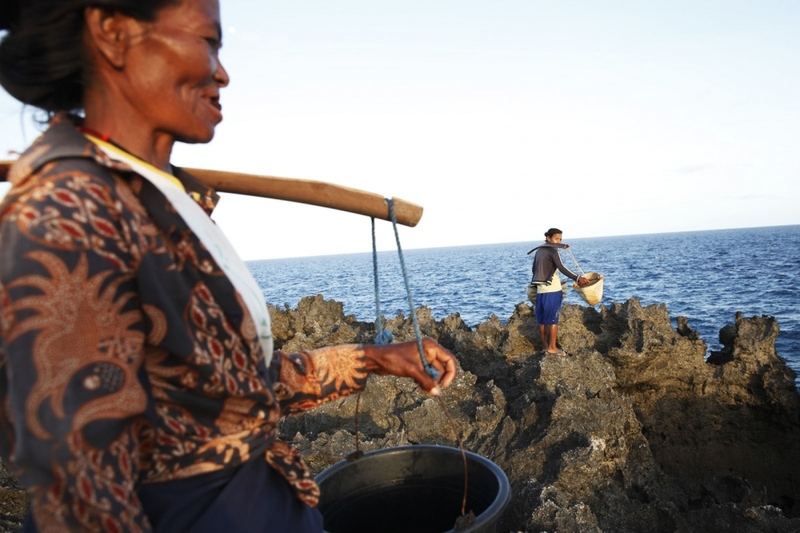 A salt worker uses a bucket attached to a bamboo pole to collect brine from the deep well. 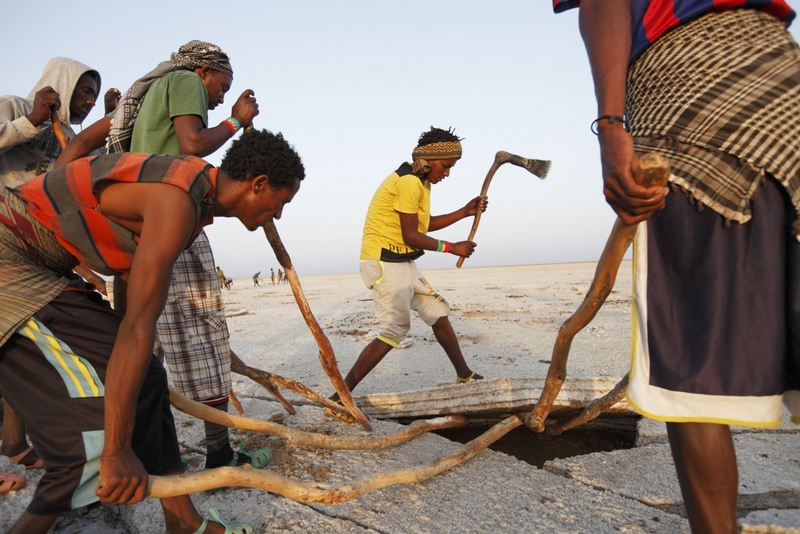 This salt water will then be transferred to a mud oven where it will be boiled to make salt. Bo Klua, Thailand. 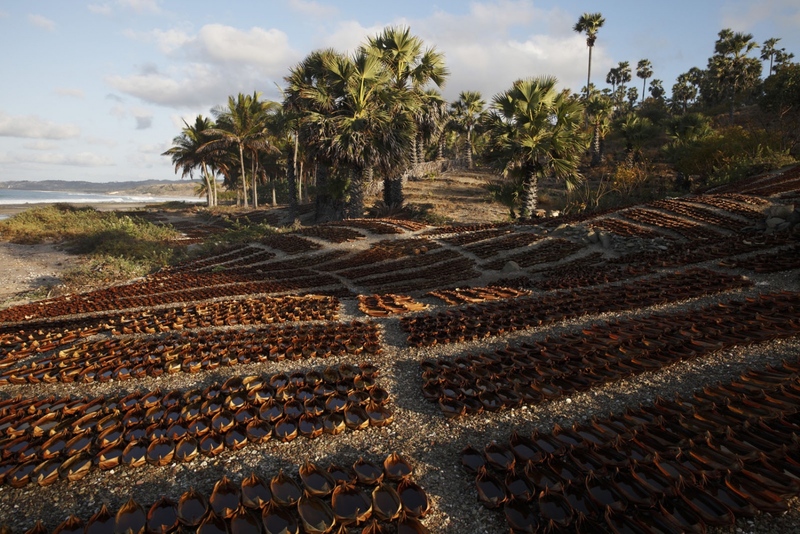 A women pours sea water in hundreds of tiny salt making 'containers' made of the leaf of the sugar palm tree cover the beach in Eastern Indonesia. 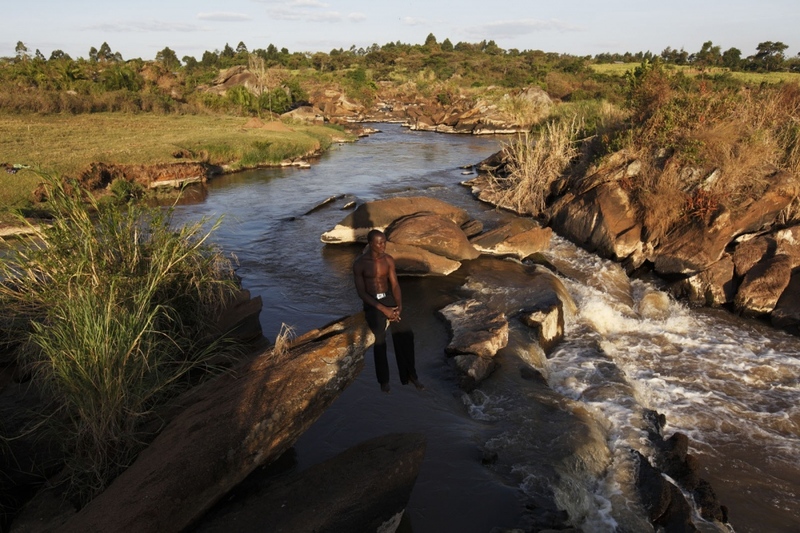 A salt maker sits and relaxes above the Nzoia River in Western Kenya. The river is where he finds special reeds from which he uses to make salt. This special grass is used to make salt by burning it and filtering the ashes. Before mass produced salt arrived in this region many local villagers used this method to make their own salt. 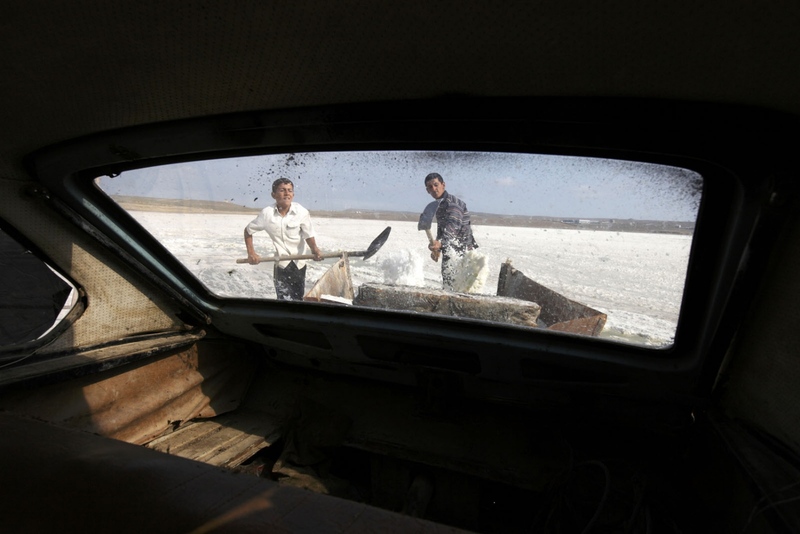 Two brothers load salt from Lake Binagadi in to a trailer attached to the back of a rusty Soviet-era car in Azerbaijan. 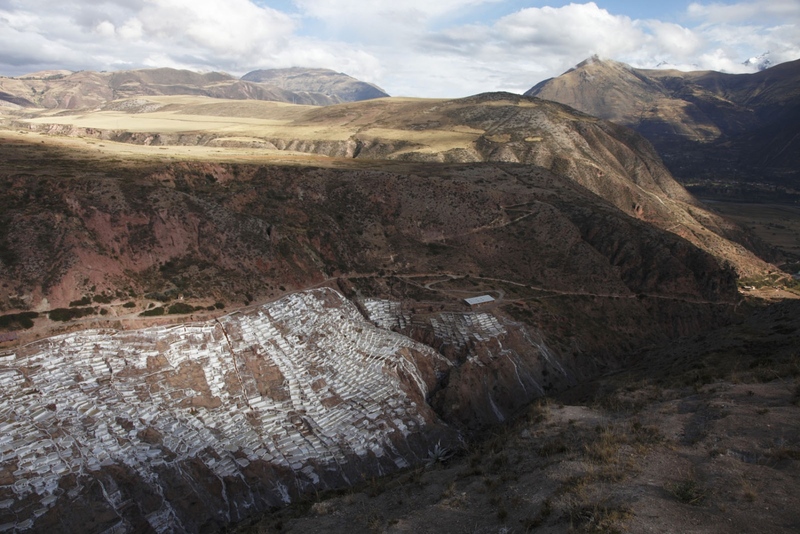 The Inca made salt terraces of Salinas de Maras in the Cusco Valley, Peru. A salt worker walks across salt that is ready to harvest in the Little Rann of Kutch. Gujarat, India.